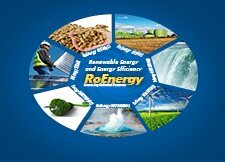 The annual Conference & Exhibition on Energy Efficiency, Renewable Energy and Smart Cities will be held from 5th to 7th March in Sofia, Bulgaria. Local and international suppliers and buyers, industry professionals from both private and public sector will join the event. Thermal comfort is one of the most basic needs of every citizen, and it is not astonishing that heat represents by far the largest share in energy end-use. When exploring pathways for the future, it is therefore essential to fully understand and reflect the needs, possibilities and challenges of the heating and cooling sector in Europe. Nonetheless, heating and cooling have remained neglected areas in the investigations of basically all European reports and studies so far.